Will Next-Generation LTE Connections Sling Data at 30Gbps? 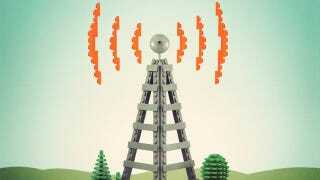 LTE data connections are blisteringly fast—at least, if you can get a signal—but that doesn't mean researchers aren't already developing next-generation systems. Now, apparently Huawei has developed a new version of LTE capable of data rates peaking at a jaw-dropping 30Gbps. According to IT Wire, Huawei has "recently introduced... Beyond LTE technology, which significantly increases peak rates to 30Gbps—over 20 times faster than existing commercial LTE networks." It claims to have managed that with new antenna designs, better software, and multi-user sharing technology.